Dreams are many, but only a few are realistic and achievable. SBI Mutual Fund has a plethora of schemes that can help you achieve all your financial dreams which are realistic. Want to retire as a millionaire? or Want to roam around the world? Whatever be your dreams, you can achieve them all by investing in SBI Mutual Funds online. What Is SBI Mutual Fund? SBI MF is one of the largest asset management companies in India with total assets under management amounting to Rs. 2,05,272.78 crores as on December 31, 2018. It was established in the year 1987, and today it has gained rich experience of over 30 years in fund management. This fund house is a joint venture between SBI Bank Limited and AMUNDI (France). SBI Bank is already a well-known brand in the Indian banking industry and has the trust of millions of people. AMUNDI is one of the leading fund management companies of the world. #1. A Happy & Wealthy Retirement: In the busy schedule of work-home-work, most of the people often forget to plan their financial life after retirement. Any of them fail to plan because of not having a good source of savings that could help them making corpus. Investment in the schemes of SBI MF can help you attain a prosperous retirement. 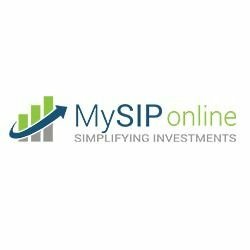 The best part is that you need not put a huge monetary effort for this, you can even do it by way of SIP investment which allows you to invest periodically and systematically. #2. I Want to be Rich: Who doesn’t want to be rich? Everyone wants to fulfill all their monetary desires. If you too are quite sincere about achieving your monetary goals, then equity schemes of SBI MF can help you in attaining the same. Equity funds of SBI are primarily targeted to achieve long-term capital appreciation by investing the investor's money in the stocks of various companies. #3. Want to Create an Income Option: If you want to create a periodical income option, SBI Mutual Fund helps you in that too. Certain debt funds and equity dividend options of SBI Mutual Fund can help you in fulfilling this monetary requirements efficiently. You can also invest in the MIP plans of this fund house which are opted by most of the investors who have such monetary desire. #4. Roam Around the World: Plan your future vacations to abroad and make your dream of traveling come true. By investing in the best SBI Mutual Fund schemes, you can plan your future trips to abroad. #5. I Have no Financial Goal Yet: If you have no financial goals yet, it’s not an issue. Talk to our experts and know how you can set your financial objectives to lead a financially healthy life. There are various categories of mutual funds which are targeted toward different objectives and have different investment profiles. Know which one suits best to your appetite so that you can efficiently attain your investment objective. Henceforth, there’s no point of worrying, just take a step towards investment in mutual funds and see how rewarding they are.